After the dog’s little hot chocolate adventure in the guest bedroom the other night, I figured it was about time to get in there to do some cleaning. The room became a bit of a dumping ground over the course of the past year, and I have guests coming in May, so now I have an incentive to get everything tidied up. In the process of cluttering the space, I put some wall hangings in the room that were ultimately destined for the bathroom. 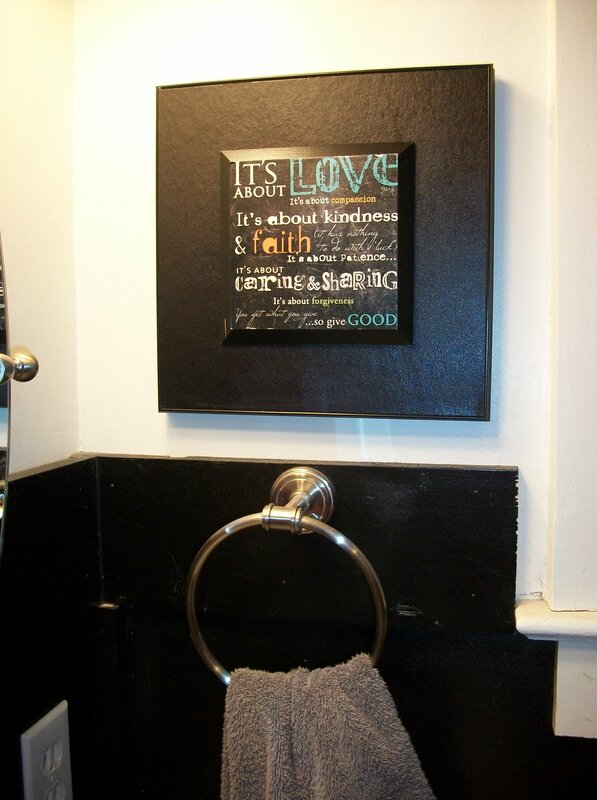 Now, I cleaned the hot chocolate coating off this inspirational piece and put it above the towel bar where I’ll see it every morning. 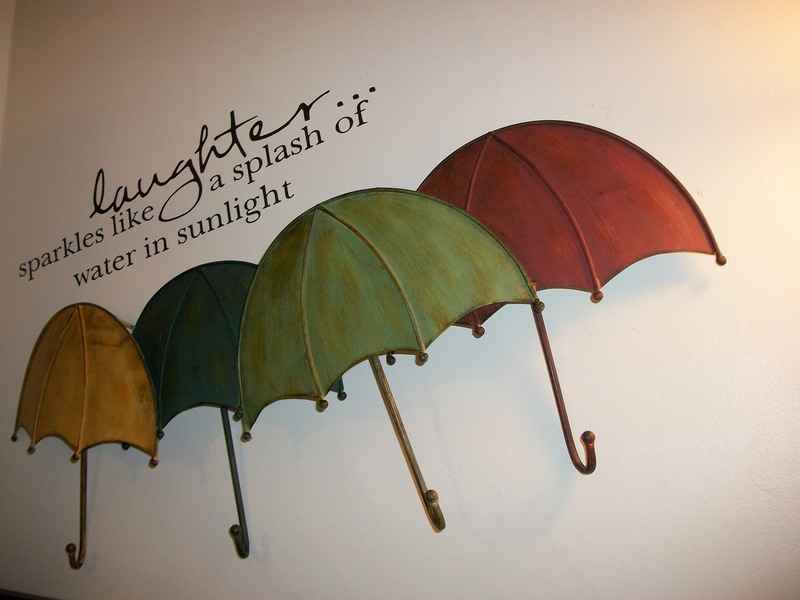 It pains me to admit, but the adorable umbrella wall hanging is something that I bought with my grandma’s birthday money. That’s not the painful part. The painful part is that it was last year’s birthday, and it’s taken me this long to get the art on the wall so I can enjoy it. In my defense, when I first spotted the umbrellas I wasn’t sure where I was going to use them, but they were $17, and I just couldn’t pass them up. Now, they’ve wound up revolutionizing my decor plans for the bathroom. The quote above them is a vinyl decal that I picked up at Kohl’s, also eons ago. Now I’m on the hunt for some cute fabric, maybe with an umbrella motif or maybe just in fun primary colors because a bathroom this cute needs some curtains. Here’s a belated thank you to my grandma too! Thanks for helping make the room where I get ready in the morning cheerful. 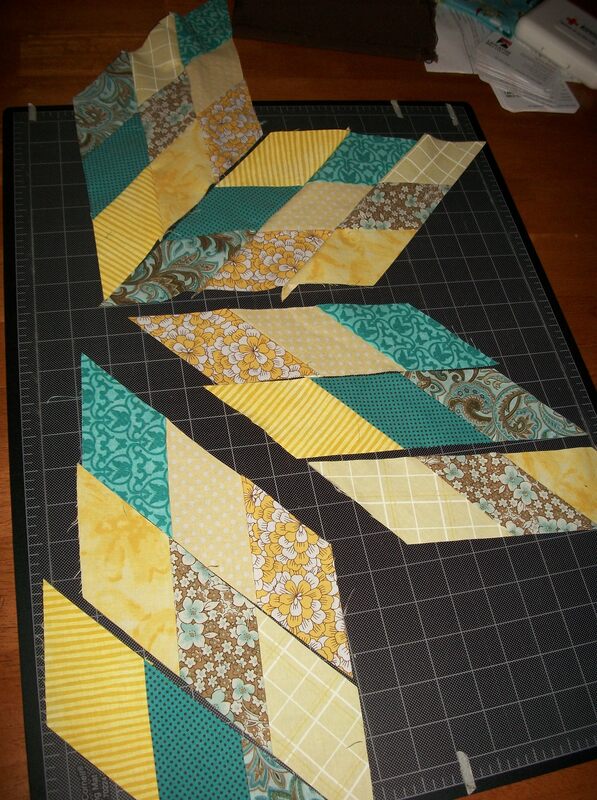 I also did a little quilting over the weekend. 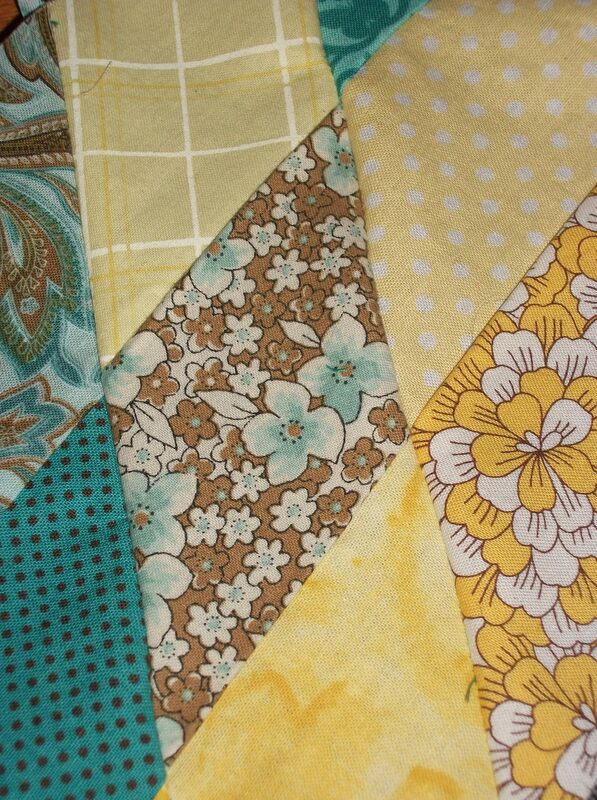 I have the diamonds all laid out for my Scrappy Lone Star quilt. I sewed two of the diamonds together. On the first one, I ripped out the seams many, many times because I couldn’t get the points to line up. They are still just a smidgen off, which makes me a little crazy. By the second diamond, I think I was getting a little better at lining up the points, and I also didn’t have to rip out nearly as many seams. I hope to come across a better method to line up points like this, but for now, I actually sew a few stitches by the point and then pull the project out of the machine to make sure the points are aligned. Then, I do the same for the other intersection. Once I have both sets of points lined up and tacked, I sew the entire seam. The tutorial that I am using gives directions about how to pin the points for sewing, but I couldn’t figure out how to follow those directions without sewing over the pins. 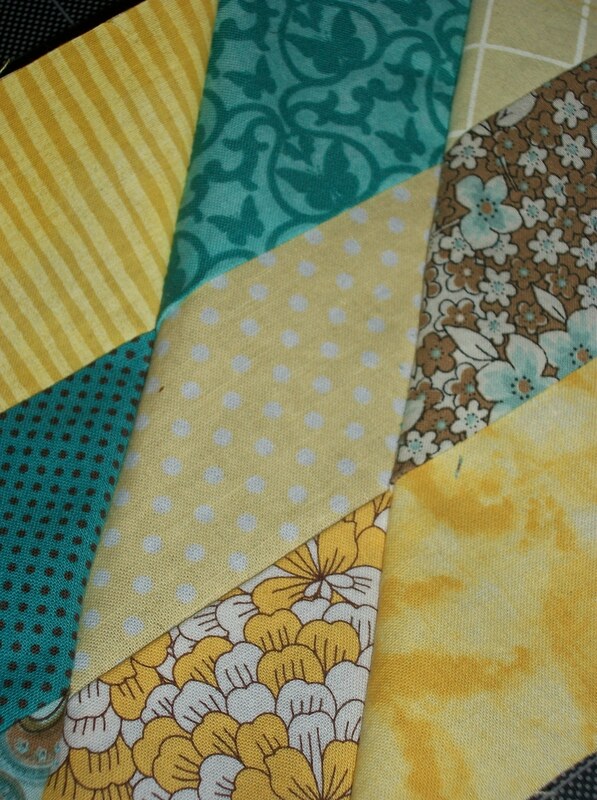 I figure at any rate, the intersections of the quilt should be nicely reinforced. I’ve still got a little practicing to do, but I’ve still got two diamonds and then the feat of putting everything together, so there are plenty of opportunities left to practice. 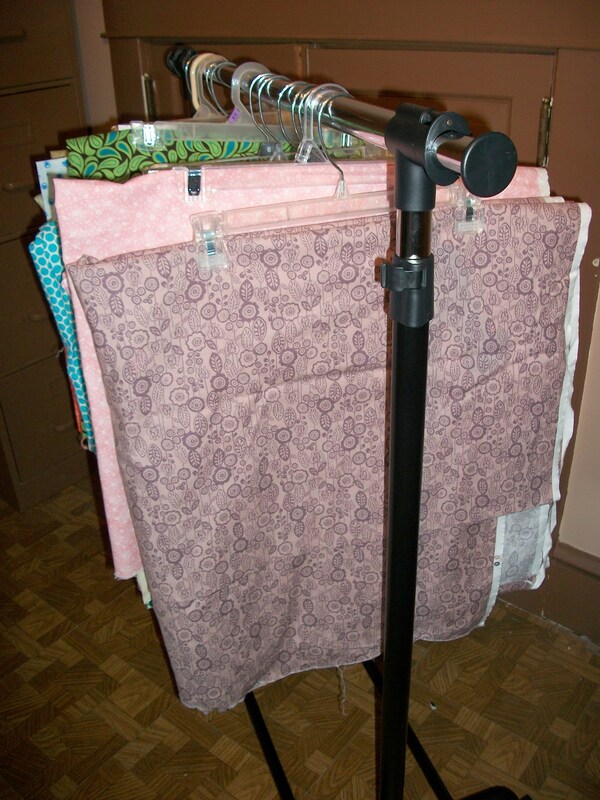 This entry was posted in decorating, quilting, that's life and tagged decorating, Project 2013, quilt, WIP. Bookmark the permalink.